"In order to further develop the relationship between Vietnam and the Republic of Korea more comprehensively and deeply, the two countries need to reassess their achievements and set forth future plans of action with new steps forward," said Mr Hoang Quang Phong, Vice President of Vietnam Chamber of Commerce and Industry (VCCI), at the seminar on new prospects in trade and investment relations between Vietnam and Korea and review of Vietnam-Korea Free Trade Agreement (VKFTA), held by the Lee&Ko Global Commerce Institute (GCI), Thai Nguyen University, Korea Trade and Investment Promotion Agency (KOTRA) and VCCI in Hanoi. According to Mr Phong, for 26 years, the relationship between Vietnam and the Republic of Korea has been strongly developed and deepened, especially since Vietnam and Korea established strategic cooperative partnership in 2009. 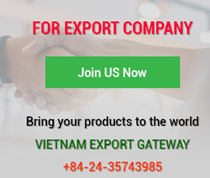 Then in 2015, Vietnam and Korea signed a free trade agreement, whereby the economic and trade cooperation between the two countries has entered a development trajectory. President Moon Jae-in's visit to Vietnam in March 2018, further consolidated the foundation of a stronger and more supportive Vietnam - Korea cooperative relationship. Vietnam and Korea are two economies that complement each other in terms of structure, share basic interests in bilateral and multilateral cooperation. Korea is currently the largest investment partner and the second largest trade partner of Vietnam. Trade volume between the two countries is also increasing, reaching US$64 billion in 2017 as the Vietnam-Korea Free Trade Agreement has taken effect for three years. The two countries are aiming to increase Vietnam-Korea trade turnover to US$100 billion by 2020. The two countries are important trading partners. 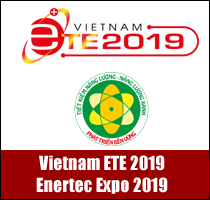 Vietnam’s exports to Korea includes textile, telephone and electronic components, electronic products, seafood, wood and wood products, machinery, equipment and other accessories, footwear of all kinds, means of transport and spare parts, fibres, textile yarns and others. Vietnam’s imports from Korea are mobile phone components, computer components, electronic products and components; fabrics, machinery, spare parts, chemicals and fertiliser. However, Korea's exports to Vietnam in the past 10 years have always been on the rise and Vietnam is now importing large amounts of goods from Korea. (Korea’s exported products account for 8.5 percent of total Vietnam's imports in 2007, but this has risen to a record 22.1 per cent in 2017). According to Mr Phong, in terms of investment, Korea is currently the largest investor in Vietnam. With around US$60 billion in registered capital, Korean companies are playing an active role in some of Vietnam's key economic sectors, such as electronics, energy, automobiles, garments, construction and services, contributing to the restructuring of the economy, creating jobs, and ensuring social security. Mr HEO Yoon, Professor of Sogang University, GSIS, President Korea Association of Trade and Industry Studies, said that the Korean investment in Vietnam has shifted from labour intensive industries to capital-intensive industries. 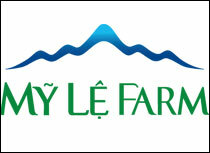 Korean companies mainly invest by setting up cooperation with large Vietnamese companies. However, until now, the rate of using Vietnamese components is relatively low. After initial investment, Korean companies have made additional but still low investment. Mr HEO Yoon said that the future direction of cooperation between Vietnam and Korea would involve promoting the Regional Comprehensive Economic Partnership (RCEP), in particular promoting the export of Korean construction services to Vietnam. The Government of Vietnam has announced a plan for the expressway network development for 2015 - 2020 period with investment capital of US$48 billion and railway transport development plan with US$9.1 billion. These are potential areas for Korean companies. 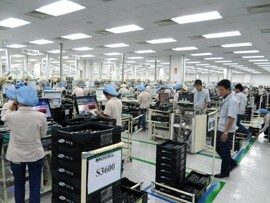 "Vietnam is considered a manufacturing hub of mobile phones, computers and electronic products. However, due to the low competitiveness of the country’s electronics component industry, it fails to support much the demand of global businesses," said HEO Yoon. In particular, according to HEO Yoon, it is necessary to expand and strengthen the machinery production network between Vietnam and Korea and promote the transfer of technology from Korea to Vietnam when the government of Vietnam changes its FDI policies to create many high value added industries. In phase I, Korea utilises Vietnam as a foreign manufacturing base to export to the global market. Korean enterprises export much to affiliates in China, so Korea has large-scale trade surplus with China. Recently, due to rising labour costs in China and the fear of growing US - China trade tension, enterprises are gradually turning their production bases abroad into Southeast Asian countries, including Vietnam. 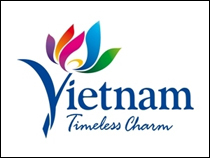 In phase II: Vietnam increases exports to Korea from Korean enterprises in Vietnam. At present, the products produced in Vietnam are exported to the Korean market, but not with large volume. In the future, when the types of production in Vietnam are diversified, more will be exported to the Korean market, helping improve the Korean-Vietnamese trade balance. Phase III is vision for the future of Korea-Vietnam trade relations. Accordingly, the two countries will form a horizontal cooperation relationship: increasing trade investment in two countries in the direction of intra-industry trade, scaling up and diversifying the investment fields of Vietnamese enterprises compared to Korea, and two countries sharing value chain to tighten cooperation. In addition, the two countries will strengthen the development of the appropriate elite areas of each country, together open up the global market and expand this market share. The two countries will make use of the FTAs network (Korea has signed FTAs with 15 countries whose GDP accounts for 73.2 per cent of world GDP); develop and conduct joint research projects in the field of advanced technology. The trade gap between the two countries in 2017 was US$31.9 billion, Vietnam’s trade deficit accounted for 68 per cent. Compared with the total value of Vietnam's exports to Korea in 2016, this deficit was twice that much. Addressing the imbalance of trade balance between the two countries through cooperation in supporting industries, automobile industry, spare parts and many other cooperative projects, such as enhancing the export capacity of aquaculture, Vietnam's products are being developed within the framework of strengthening the mutually advantageous industries. The two countries need to expand cooperation on trade remedies in the context of increasingly dealing with the safeguard measures of countries. The problem in the early cooperation between Vietnam and Korea is that the supporting industries are still limited. They need the support of Korea as well as sharing the experience and policy of investment and development of Korea in supporting industries, especially automotive, electrical/electronics, textiles and footwear. In addition, it is necessary to strengthen energy cooperation, comprehensive cooperation on energy security, energy conservation and climate change. 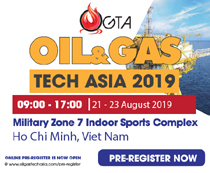 Korea also needs to continue to support Vietnam in the area of high quality human resources training in the fields of industry, oil and gas, renewable energy.